The community for people who want to raise their vibration. As humans in this complex world, we yearn for a way to manage personal stressors, elevate aches and pains, calm anxiety, and repair relationships…yet we are not sure where to look, whom to trust, and how to “do it”. That’s why I started Vibe Tribe, an online community where I share the challenges of my own personal journey as well as the common struggles I see in my client work as an energy practitioner. As an energy practitioner and intuitive, I’ve personally helped thousands of people improve and heal their lives, whether they’re looking to heal a physical condition, manage grief, reduce anxiety—you name it. But here’s the thing: We’re all healers. When I said I’ve helped thousands of people heal their life, that’s just it: you actually heal your own life. I just offer the space and techniques to do the work. Get a personal report of what I’m seeing in my client work and in the collective energy fields so you can validate what you’re experiencing. Receive a guided message from spirit alerting us to what we’re in need of most each month. Stay grounded and enhance your energy skills through a new guided meditation each month. Watch exclusive teachings on balancing your energy field, using your spiritual gifts, manifesting, understanding collective energy, and much more. "The experience of Vibe Tribe is like a combination of being at Suzanne's workshops, monthly meditations, and an individual session, all rolled into one! If you did nothing but the meditations, the membership would be worth every penny (except you wouldn't just do that - there's too much awesome stuff that is shared each month!). If you are looking for tools to work with current energies or to make positive changes in your life, you'll find them in the Vibe Tribe." 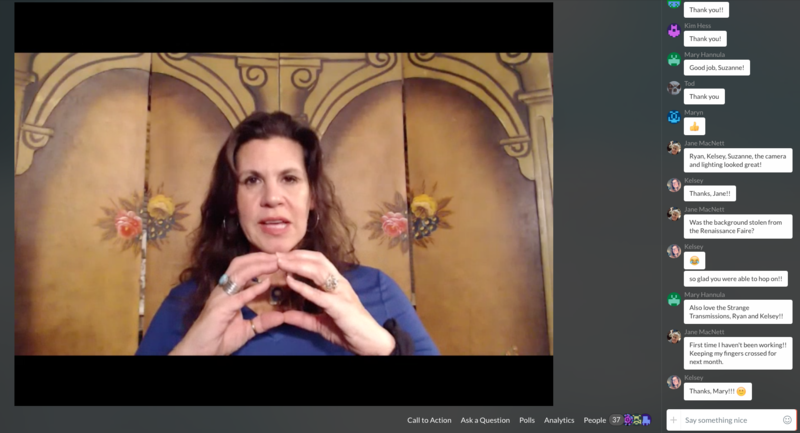 In addition to the monthly Vibe Report, you'll be invited to join me for an exclusive 1.5 hour webcast each month where I expand on concepts and answer your questions. I'm taking new members for a few days only (until midnight on Wednesday, September 26). So don't miss your chance to check out Vibe Tribe now while registration is open. The cost of just one evening class! Become a Monthly Member The cost of just one evening class! Become an Annual Member Annual discount of $66! 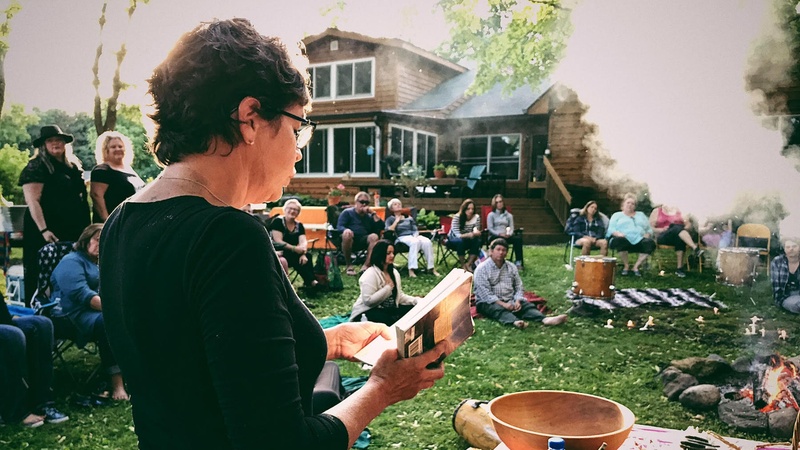 If you’re in the local area (Twin Cities, Minnesota), you’ll be invited to in-person gatherings for Vibe Tribe members each year. Here’s 50+ of us together at our Summer Solstice Celebration.